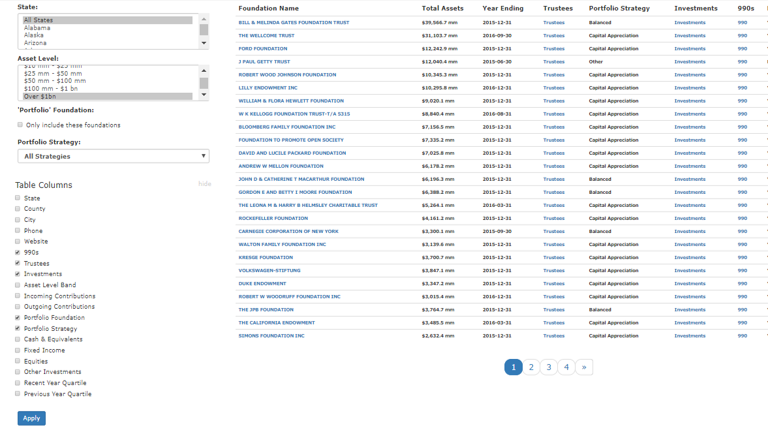 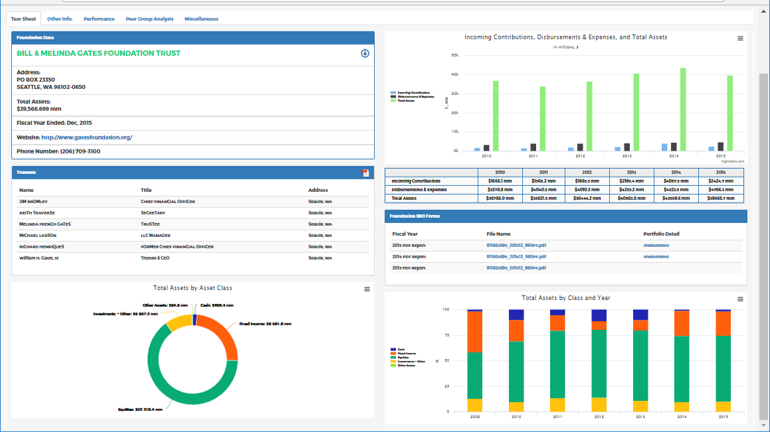 FoundationIQ users gain access to the most comprehensive database on private foundations’ portfolios available. 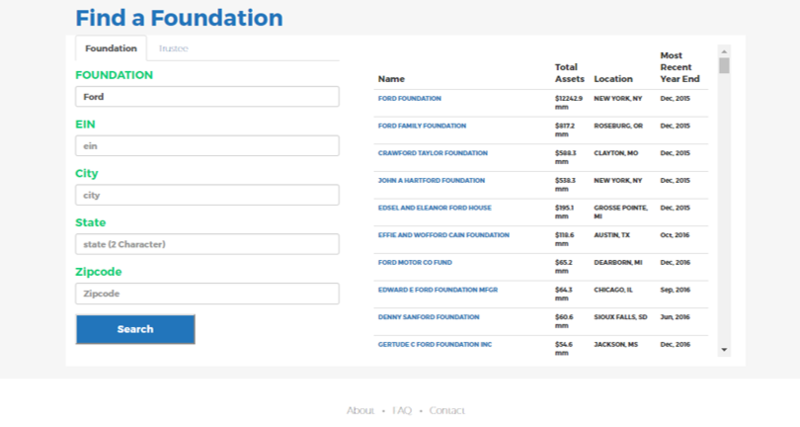 Users can quickly, easily and intuitively pinpoint the foundations that match their search criteria. 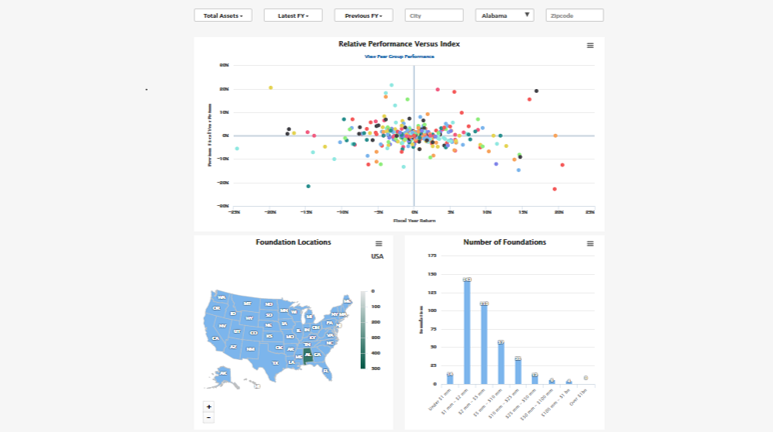 Built by investment professionals, FoundationIQ’s search and filter tools are the most relevant and thorough ever created for the investment community.